BRATTLEBORO — First came a fire, then a flood. But despite disasters that battered Brattleboro’s downtown last year, a hopeful spirit is visible today in the streets of the bustling town just over the New Hampshire border. Amid the deep thrumming of drums and swelling notes of brass instruments came the words of Martin Luther King Jr.
Louisiana Gov. Charles E. “Buddy” Roemer 3rd had a fight on his hands. After four terms as a Democratic U.S. congressman, two-term Gov. Roemer found himself in an uphill battle for re-election in 1991. Staunchly opposed to accepting large campaign contributions, his wasn’t a well-funded campaign. Behind the scenes, Roemer was picking up the pieces of his personal life after his second wife left him, and while he had balanced the state’s budget and made other notable policy strides, his aloof political style had done little to garner allies in the state’s Legislature, according to a book by Raymond D. Strother, a now-retired strategist who worked on the campaign. On March 11, 1991, Roemer flipped the switch and changed his party affiliation to Republican. “I think for once the man was being pragmatic,” Strother said during an interview last month. “He’s about two steps in front of everyone in politics and I think he saw that the South was shifting and I think he wanted to ride the wave. 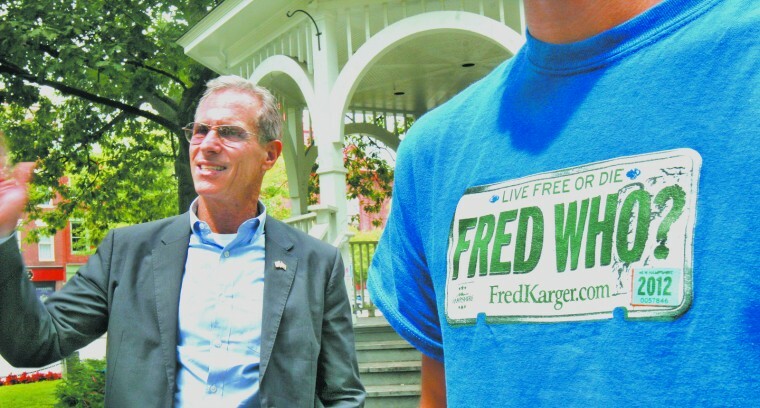 Fred Karger grew up near Chicago and spent his college years in Colorado before settling in California for most of his adult life. But it could be said that the roots of his campaign for the top seat in the White House are right here in New Hampshire. He told his family during a gathering in 2009 in Hawaii that he was considering throwing his hat in the ring and a couple months later, during a February 2010 visit to see his aunt in Peterborough, started talking to people about running. “That was trip one (to New Hampshire),” he said. “A lot of it, initially, was just going around, meeting people. SWANZEY — Evan T. Casavant and Ryan R. Morgan aren’t your typical college students. Sure, they go to classes and try to keep up with the seemingly never-ending stream of homework. The force of the blast rocketed an iron chimney grate across the room and flipped an exhausted Earle C. Quimby Jr. under the heavy bed he was lying on in an abandoned German house. 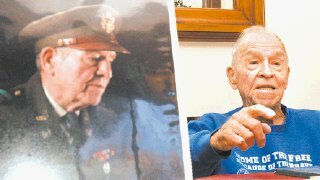 Out on a mission, the Army reconnaissance officer and his driver had run into a German unit, and now the 24-year-old Quimby was holed up in the house, waiting.